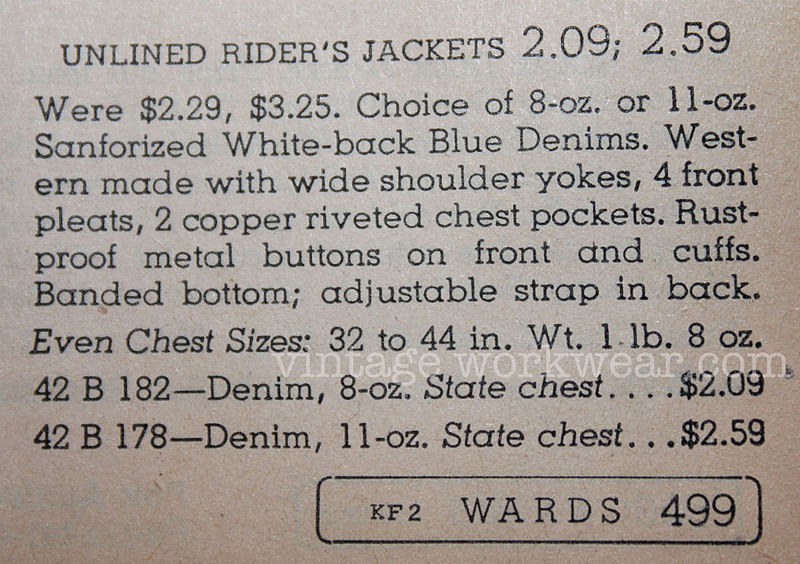 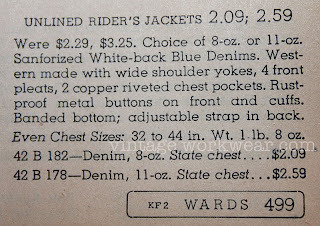 Vintage Montgomery Ward 101 unlined Riders Jacket circa late 1940's- early 1950's. Details include •SANFORIZED• selvedge denim, Western styling, Front pleats, Copper riveted chest pockets & cuffs, Copper riveted buckle back strap, Rust-proof metal button front & cuffs. 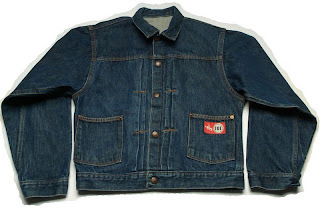 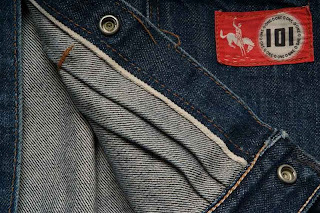 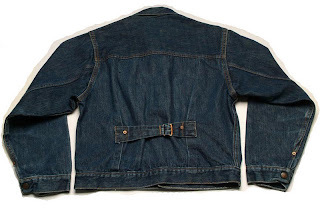 Jacket was available in both 8 oz & 11 oz denim.